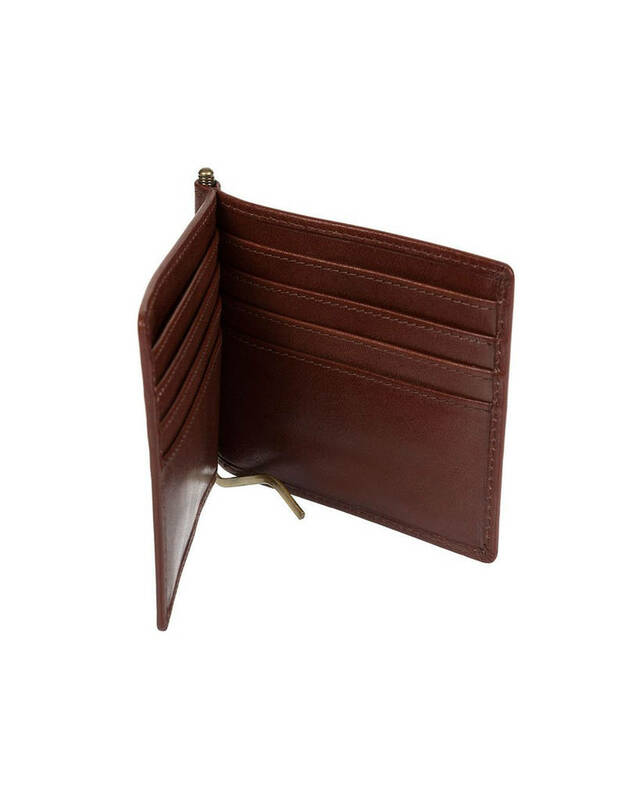 With 8 credit card slots this traditional money clip has a modern twist. 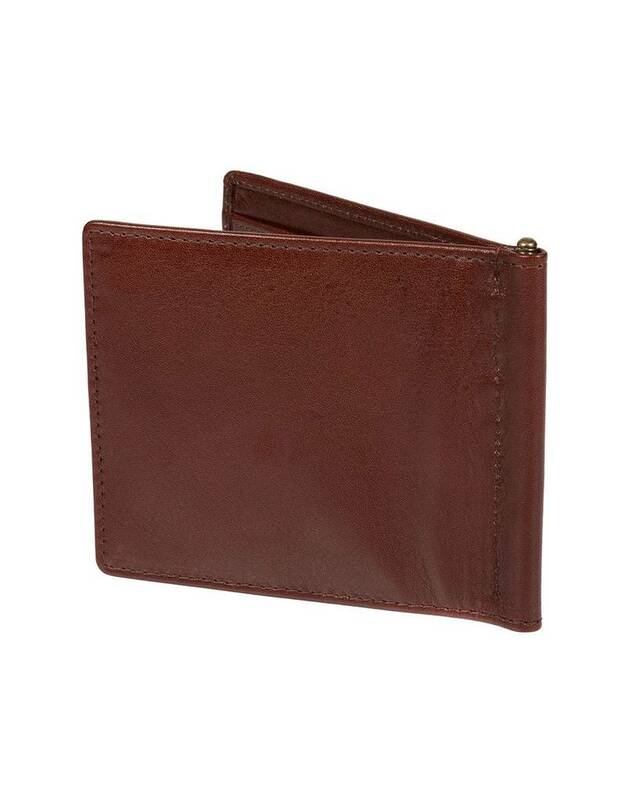 This brown leather cowhide wallet features spring-loaded metal money clip and 8 card slots. There will be a small circular logo on the bottom right corner embossed in the leather. 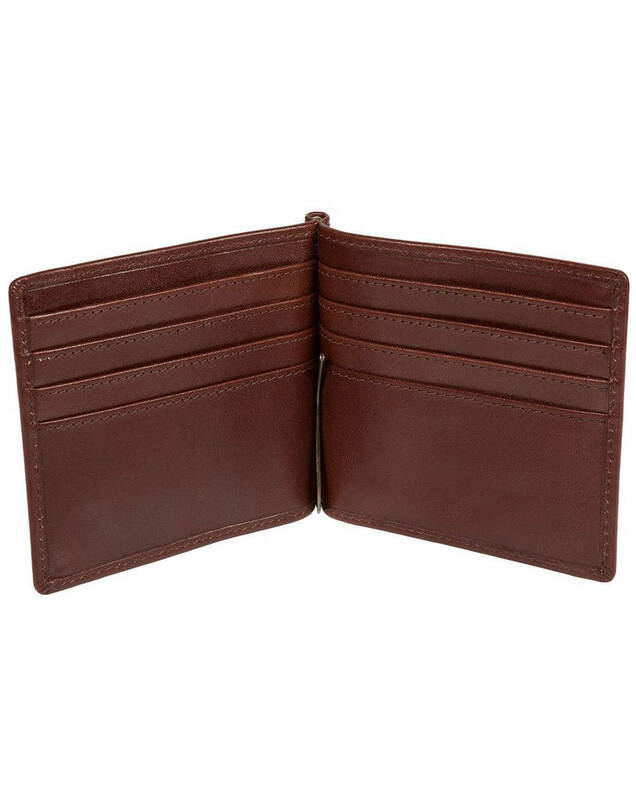 Made from quality leather. 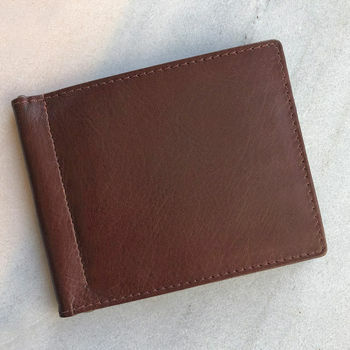 The grain is natural and leather genuine, with use the wallet will develop a natural patina, making it unique to him. This is the beauty of a fine natural leather.